For many years, the team at Merton Windows and Doors have been offering stylish and affordable glazing improvements to domestic and commercial customers in and around Bromley, Chislehurst and the wider areas of Kent, London, Surrey and the South East. Whether you are after new double glazing, triple glazing, windows, doors, roof lanterns, conservatories or porches, our range of glazing offers functionality, security and energy efficiency. We are a family-run and FENSA-registered company, who will always put the needs of our customers first and for this reason, much of our work comes from repeat custom and word-of-mouth recommendations. We have improved the homes of thousands of local customers and will always do our best to exceed their expectations, going an extra mile to ensure that we achieve their vision. We provide a selection of exceptional quality products from market-leading brands and our fitting team ensure they are fitted perfectly every time. Our products are competitively priced and covered by a comprehensive 10-year guarantee, for your peace of mind. Here at Merton Windows and Doors, we really know and understand glazing. All our products are sourced from industry-leading manufacturers, such as Pilkington Glass and Kommerling’s Connoisseur Gold range. As a friendly, family-run company, we are able to provide our customers with a personal approach. There are no high pressure salespeople and you always deal with our team directly. All installations are carried out by experienced fitters, who have in-depth product knowledge and are employed directly by us. They will always keep disruption to a minimum. We leave all sites clean and tidy and remove all waste to be recycled where possible when we leave. For further info about any of our products, please ring us now on 0208 542 2233. Why double glazed windows near you in BR1 are a wise choice! The average home loses 10 per cent of its heat through windows and doors. We supply and install the latest A+ rated double and triple glazed windows, which will result in a warmer and more comfortable home and smaller energy bills. These windows consist of two or three panes of glass separated by a layer of air, which acts as insulation. Keeps warm air in and cold air out, meaning that your home or office is better insulated. This has a knock-on effect and reduces your energy bills and is friendlier towards the environment. We make choosing replacement windows with us as straight-forward as possible and we can advise you about the best-rated windows for your project. The team were very professional throughout and their sash windows and doors are of a high standard. We’re very pleased with the service received and the fitters were always helpful. It’s made such a difference to our property. 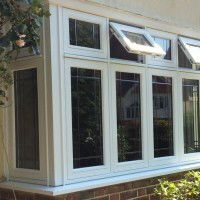 Epsom double glazing installation – good price, fast turnaround and a great job! There were no nasty surprises – just a pleasant experience from beginning to end. Such a professional service and all fitters we clean, tidy and well-presented. We’re extremely pleased with the quality of both the work completed and the new windows – and the bifolding doors are outstanding! Would definitely recommend Merton Windows and Doors in London. Replaced two sash windows at my London property. They were great dealing with a difficult tenant. 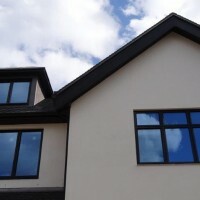 Merton Windows were very professional from start to finish. All staff were polite and nothing was too much bother. There was no hard sell to push products or prices, and they helped us to understand everything before we made our own decision about our new windows. All insurance certificates came as promised. We love our new windows and they’re so practical too! Outstanding standard of work carried out and our neighbours have commented on the quality of the finish. So pleased! Would definitely recommend. Really happy with the work carried out at my London home. The installer arrived on time, was friendly and most importantly, the work was excellent. I can’t praise them highly enough. I would definitely recommend Merton Windows and will use again next time. Excellent service provided when replacing our front door in Wallington. We’re so happy with the work completed and would use again. We are very happy with our new windows – thanks! We are very pleased with the work carried out by Merton Windows. The quality of the sash windows was excellent and all fitters were polite and efficient, cleaning up after themselves and taking away any rubbish. We asked for a new garden door to be fitted to the rear of our London property. Service was excellent & they were very prompt. We had French doors fitted in aluminum – all to a very high standard! Merton Windows attended our commercial premises in Worcester Park to view the work. They were on time and professional. They double checked everything before ordering, and the windows were made and fitted in a short time frame. All fitters were polite and tidy. I would recommend their quality installations. We’re extremely pleased with the service provided in Epsom, as well as the quality of the new windows. We would definitely use their services again. 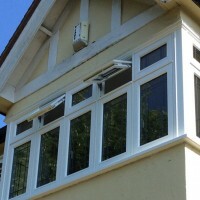 We found the Merton Windows team very easy to do business with and the installer did such a good job and was very tidy. I would have no hesitation in recommending them for those looking for a door replacement service in London. We used Merton Windows to replace several sash windows and our back door. It was a very smooth process from initial quotation to completion, finished within the timescale I was hoping for. All the team I spoke to were very helpful and fast responding to calls. The installer did a great job and the new windows look great. The price was very competitive for London windows and doors. I would highly recommend! The service we received from the Merton Windows team was second to none. There was no hard selling tactics or pressure felt. The owner visited twice to provide a quote (and show us a window sample), coming again to carry out a final survey. The Merton Windows installer was also excellent, working very hard and was tidy throughout. He did an excellent job fitting the windows, ensuring the finish was flawless. We would highly recommend for any Leatherhead windows and doors you need supplied. The Merton Windows team was extremely polite and professional when fitting a new sash window at our London property, completing a great installation. We’re very happy. An amazing service from Merton Windows right from the initial visit to completing the installation. Their years of expertise in the windows and doors trade is obvious – from the high standard of their work to the quality of the windows and doors. 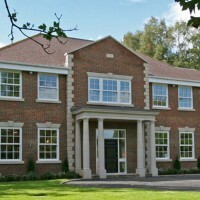 Merton Windows was great company to deal with and we’ll use them again for future work at our London home. We received an excellent service from the Merton Windows team. They turned up to do the survey when promised and gave us a very competitive quote. The work was carried out efficiently and to a high standard. The team were polite and courteous throughout and were incredibly tidy. Dust sheets were used to protect all furniture and flooring. 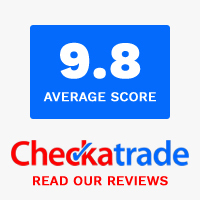 I wouldn’t hesitate to recommend Merton Windows to anyone considering new windows or double glazing fitted in London, and I'd be very happy to use them again! If you are updating your home or starting a self-build project, you may be considering timber windows. Even though timber has taken a back seat when compared to uPVC and aluminium in recent years, it offers homeowners important benefits. Timber windows are far longer-lasting than uPVC and are an environmentally-friendly option. They are also an ideal choice for older properties, where you wish to respect the fabric of the building. Timber windows come in many styles, colours and finishes, meaning you can choose new windows that fit perfectly with your existing aesthetic. Read our blog on how to replace period property windows whilst retaining its charm. Call us today 0208 542 2233 to request a free quote, email us at [email protected] or put your details into an online contact form and we will get back to you.